Doctors Ray Muzyka and Greg Zeschuk, the founders of BioWare have long had a passion for games. So much so that despite hard earned successful careers in the field of medicine, in 1995 they left them to pursue what was at the time, little more than a hobby. 16 years later and they have since sold BioWare to Electronic Arts in 2008 and have built some of the most enthralling video game franchises. 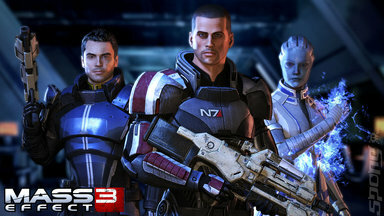 These include Baldur’s Gate, Mass Effect and Star Wars: The Old Republic. During BioWare’s ascendency, there has been a question that has been nagging at both Ray and Greg for some time, and it is this: Why do we make games? It is this very question has led them to speak to their peers at the head quarters of BAFTA in London. I was there, and I noted down the evening’s events. What follows is my view of an occasion that enabled two gaming creative forces to tell us what they believe is the answer to this question, and it all stems back to a Russian writer who went by the name of Leo Tolstoy. So, here’s what happened according to my notes. 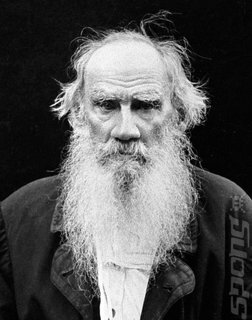 In 1899 Leo Tolstoy’s essay titled ‘What is Art?’ was translated into English, for the second time. The first translation was heavily censored to the point where its original message was mangled and lost, much to the dismay of Tolstoy. This text was highly controversial as it espoused the idea that art must create an emotional link between the artist and audience. By doing so expanded the definition of what could be considered ‘Art’. This created an outcry amongst the gatekeepers of galleries who decried Tolstoy’s definition as a form of devaluing what they regarded as ‘true art’. That being paintings, sculptures and little else. Over 100 years later and Tolstoy’s view on art is now very much the default one. Art by its definition is meant to provoke an emotional reaction. This has led to people to regard the likes of Mozart and Leonardo Da Vinci as great artists. Yet they were vilified by their peers when they were alive. This is because what they created was controversial and provoked an emotion in people who came into contact with the creations. The key here, however, is that work that was criticised in this way, was counter to what was regarded as ‘Art’ during their respective eras. Thus these creative people became ‘Accidental Artists’, because they never set out to create great works of art, they simply wanted to create works! So, what does all this have to do with the founders of BioWare and indeed their question? Well Ray and Greg contend that they, like all other creators of video games are ‘accidental artists’. They make games that in turn provoke emotions in people when they play them. By creating something that provokes an emotion, they have, by Tolstoy’s own perceived and now accepted definition, created ‘Art’. This was never Ray and Greg’s intention of course. Their intention, and indeed the answer to the question they raised, are that they wanted to share the same emotions they have experienced when playing games with others. 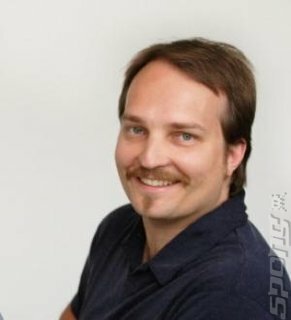 Recognising that emotions are the keystones to game development, BioWare use a design model for its games to ensure that emotions are provoked by the player. They do this by loosely following the Richard Bartle model of the video game player: the Achievers, Explorer, Socialiser and Killer. These are very easily defined and all video game players share attributes from some, if not all of them to a greater or lesser degree. There is, however, a fifth pillar to this model that BioWare use to build its games from. This is the social and interconnectivity with others that binds the other aspects together. BioWare also encourages the player to take on various roles in their games, all with the aim of generating more emotions as they play them. These roles vary from director, actor and even writer. This is best demonstrated by the ‘dialogue trees’ used in its games to create branching storylines in a similar vein to the Choose Your Own Adventure/Fighting Fantasy books that were prevalent in the early 1980’s. Despite the concept of emotion generation equals art, therefore games are art, commentators in the media and the media in general are very dismissive of video games. They are regarded as little more than toys and should be treated as such. As further evidence of this, criticism sections in newspapers are filled with commentaries on books, music, films, theatre and even dance. Games (at least in the USA according to the good doctors) rarely get a mention. Even when they are, it is normally placed in the ‘technology & gadgets’ section of the newspaper.